Rummaging through some old documents and found the image shown below. It is a photo of a poster arrangement I had on my office wall while working in Changsha, Hunan Province, China in early 2001. 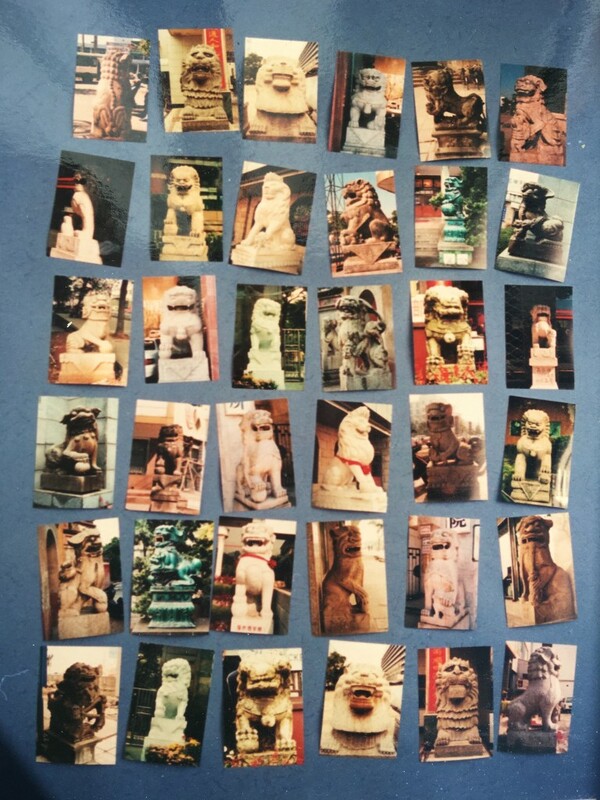 I was working on an Exhibition Idea that counterpointed various different Stone Lion pairs, a) for comparison of changes in Sculpture Style, and b) as a kind of “lonely Hearts” Project where each lion would have a caption from a well known Asian Dating Site and the viewer had to then match up the right pairs, as an interactive activity. This mockup used standard, snapshot sized images.